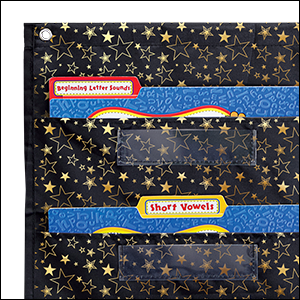 The stylish File Folder Storage: Gold Stars pocket chart measures 14" x 32" and features 5 regular pockets (6" x 1.5") embellished with gold star accents and 5 clear pockets (14" x 8"). This storage pocket chart for the classroom provides the perfect way to organize classroom centers while providing an ideal complement for any classroom theme. 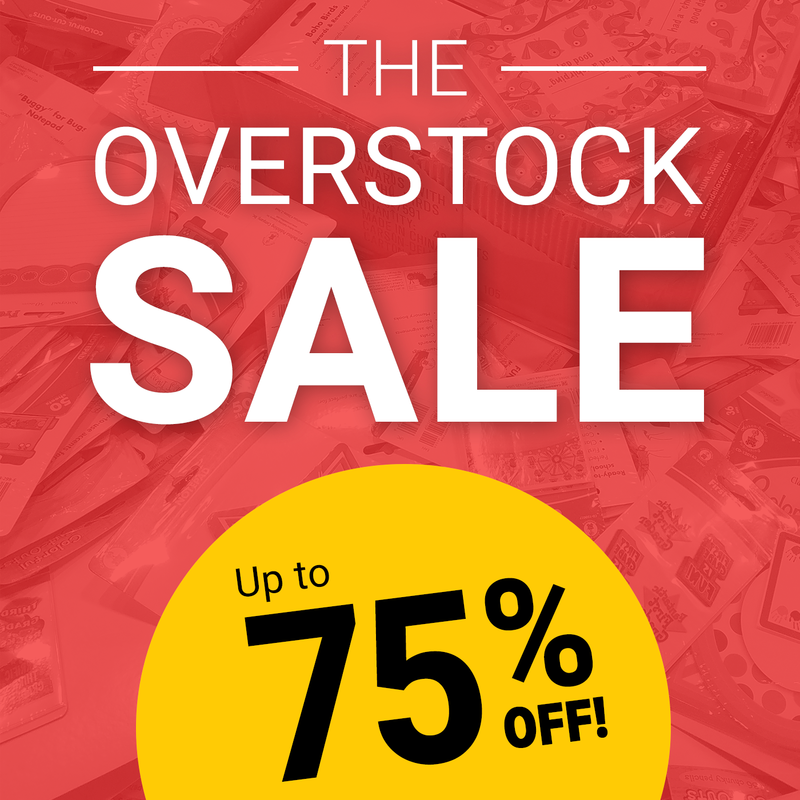 Enhance your learning environment by storing classroom essentials in style! Durable and flame-retardant our hanging storage charts offer an easy way to organize. Each pocket chart includes sturdy grommets for simple hanging. 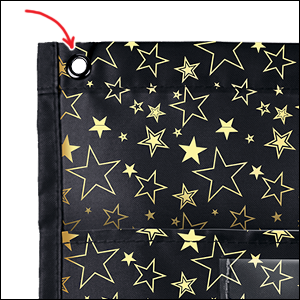 The stylish File Folder Storage: Gold Stars pocket chart measures 14" x 32" and features 5 regular pockets (6" x 1.5") embellished with gold star accents and 5 clear pockets (14" x 8"). Durable and flame-retardant our hanging storage charts offer an easy way to organize. Each pocket chart includes sturdy grommets for simple hanging.